I would like to thank you and your company for the fantastic service and products you’ve provided to me and my customers over that past 2 years. My customers have received on time delivery on every order over the past 2 years. And they’ve installed over 350,000 sq ft of your high quality vinyl plank with out any incidents. We’ve used SurfaceLinx to supply carpet and other flooring products for our homes for many years. The quality of products are consistent and they always deliver on time. The team at SurfaceLinx is easy to do business with and can answer any questions you may have about flooring. I’ve recommended SurfaceLinx for many of our clients purchasing or selling a home. They’ve always responded quickly and provided the best products at the fairest price. I cannot think of another flooring company I would recommend for Carpet or Luxury Vinyl Planks and Tiles. My entire transaction with SurfaceLinx was exceptional! Brian was very helpful and knowledgeable in helping me pick out the right flooring for my house. The flooring arrived on time, and exceeded my expectations. The floors look and feel great, and have really changed the look of my house, and I will use SurfaceLinx on any future flooring needs! SurfaceLinx has been a supplier for our contracting business for the past two years. 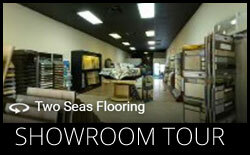 They are simple to do business with and make buying flooring easy. The products arrive on time and always in excellent quality. When purchasing Luxury Vinyl Products or Carpet I would not choose any other company.